South America is one of the world's most fascinating and diverse regions to explore. Seductive Latin cities, mysterious Incan ruins, ethereal Amazon jungles and ice walled fjords are all on offer. And if you take a Cape Horn cruise, you even get to experience all four seasons in just two weeks. 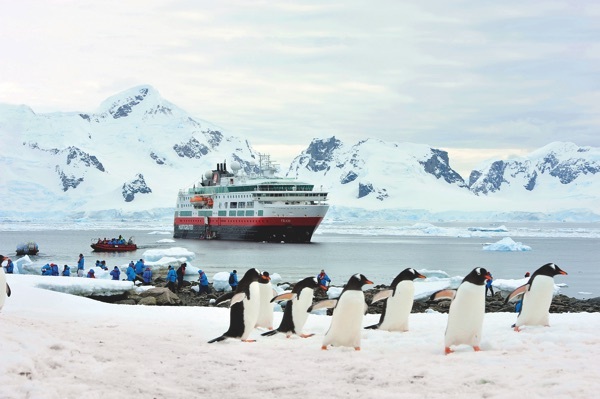 On this cruise combine the autumn cool of the Falkland Islands, the bitter cold of Tierra del Fuego and Chile's Punta Arenas, with the Spring-like Chilean fjords and the steamy summer weather of the Chilean capital of Santiago. If you take this itinerary, remember to pack for all weathers! An exhilarating and vibrant city. Immerse yourself in historical sites. Relax in the middle of a rainforest. In the jungles of Argentina. Experience marvellous old-world architecture in Uruguay. Pristine lakes and snow-capped volcanoes in Chile. The beautiful capital of the state of Bahia in Brazil. Sail through the Panama Canal, an artificial 48-mile waterway. The capital of Peru lies on the country's Pacific coast.